Apparently, Japan's Liberal Democratic Party is "seriously considering the development of Gundam." 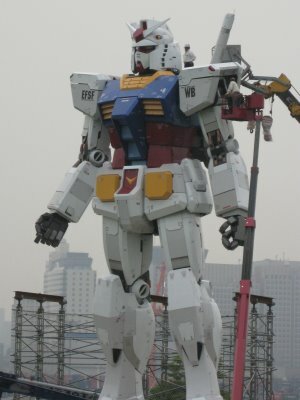 Yes, you heard that right, a real functioning Gundam. As stated in a post from a few years back...the cost of creating a real, functioning Gundam was estimated to be at around $730 million dollars. The media here (like MSN) are laughing at the idea...yes, a big robot might not be the best idea in a bad economy but then again, looking into different technology in robotics would be a good thing for innovations for the future..and yes, space flight can be tied into that in my opinion. Time to get some g-force training but at 28..I think I'm 1 years too old to be a test pilot.